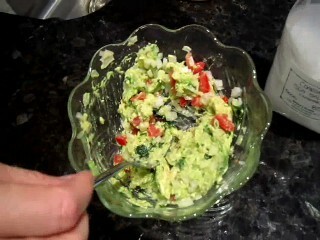 I love guacamole and if you do to then you'll love this recipe! Fork the avocados. Don't smash them, which will turn your guacamole mushy. Gently mix in the rest of the ingredients. Season with salt and pepper to taste. 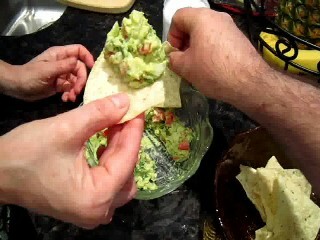 This recipe makes about two cups of guacamole.